While your applications look good on all devices, at the moment, creating and editing them is not supported on small screens, like this one. 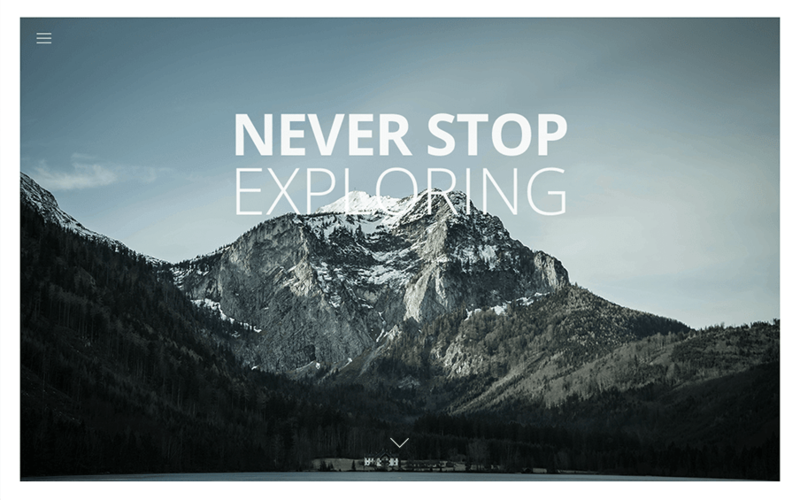 For the best experience, we recommend signing into Framesplash from your desktop or laptop. Fully customizable layouts to make your own. Carefully designed for those who want to make a lasting first impression. Jane is a perfect way to present yourself and your works in a clean and elegant way. 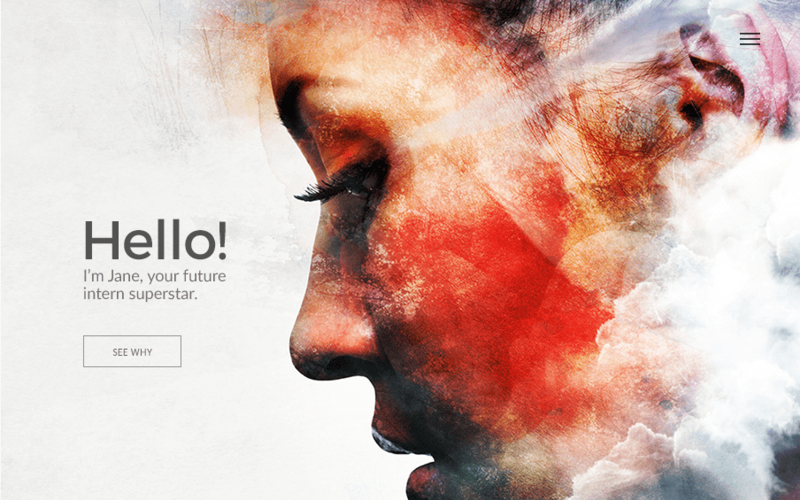 Dorian is a straight-forward layout that uses boxes to display your Cover Letter, CV and Portfolio. 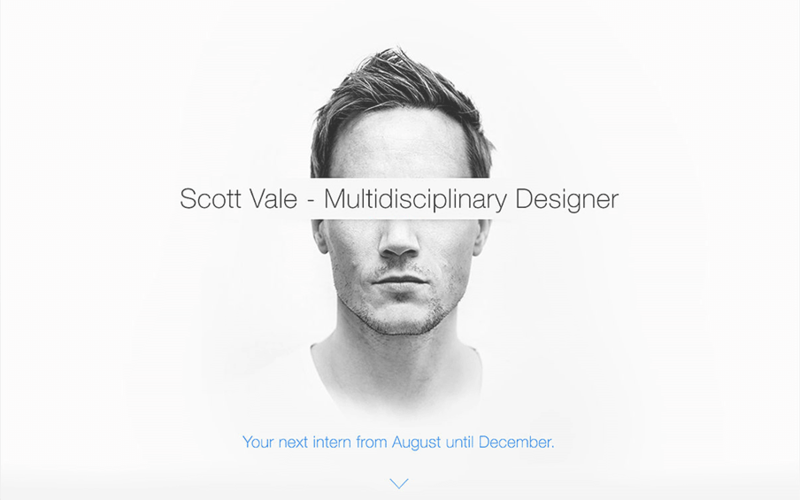 Scott is a beautiful, simple layout that will display your Credentials and Portfolio with pride. 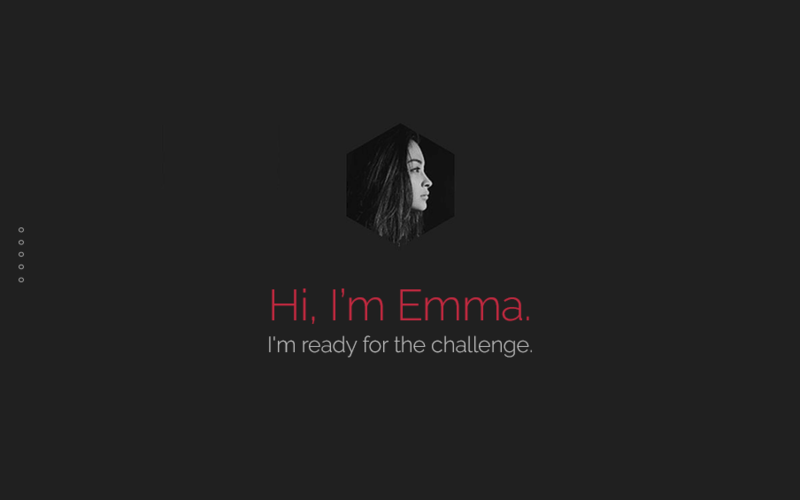 Emma has a bold and modern look that will make your application stand out from the crowd. Our layouts are fully customizable so you can make them your own: choose fonts, colors, backgrounds, sections and more. The content of your applications dynamically adjusts to display smoothly across desktop, tablet & mobile. Building your applications is super easy and intuitive and it requires absolutely no coding knowledge. Instead of rigid pages, you build interactive applications that display beautifully through transitions and animations. The super customizable portfolio section allows you to arrange your work the way you want. Apart from showcasing photos, you can also display in your portfolio videos from Youtube and Vimeo. Build it remarkable. Send it effortlessly. Copyright © 2019 FrameSplash. All Rights Reserved.